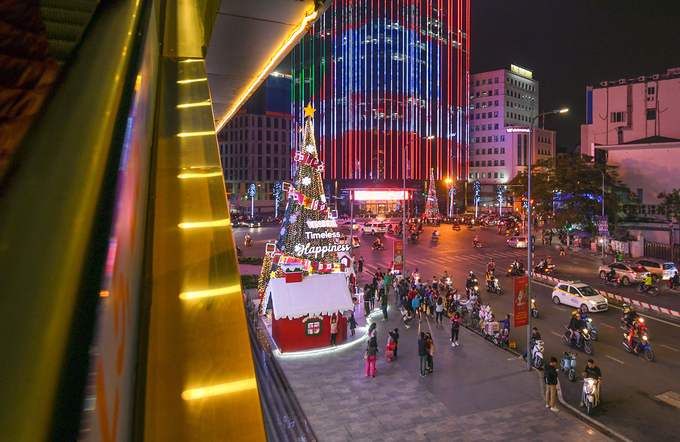 Many major landmarks are wearing shining, colorful outfits for the capital city's Christmas Eve celebrations. 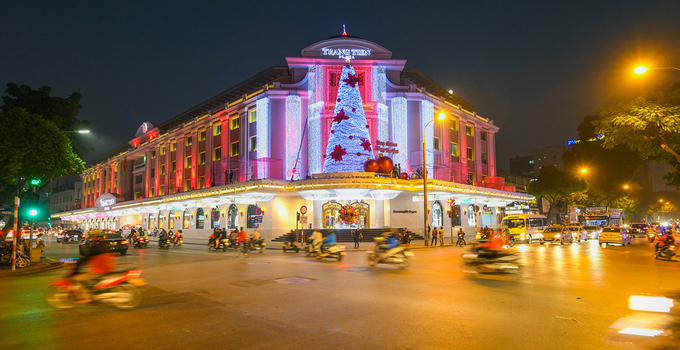 At night, the Trang Tien Plaza in downtown Hanoi is a striking sight with a grand, silver and red Christmas tree on the roof above its lobby. 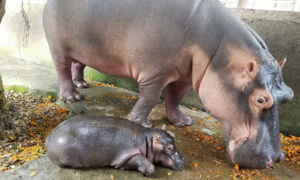 Inside, the center's lobby hosts nativity scenes that draw many visitors. 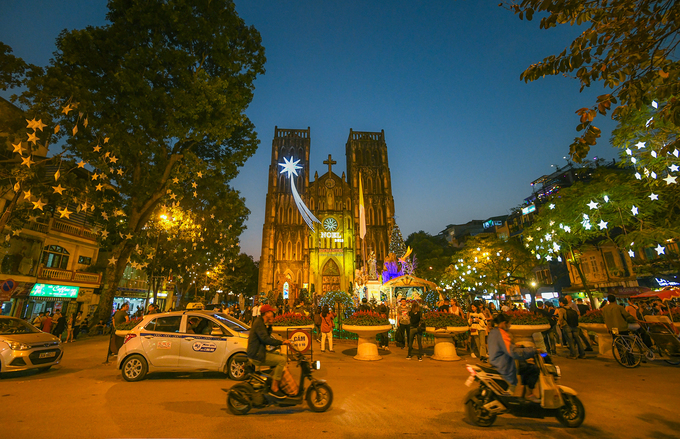 Hanoi's St. Joseph Cathedral has arguably the most detailed and magnificent decorations in the city center. Stars sparkle on the trees in front, a comet adorns the cathedral's facade, and a collection of Xmas trees and large floral arrangements have been drawing thousands of visitors over the last few ways, which has also seen carol singing, other concerts including choir perfomances. 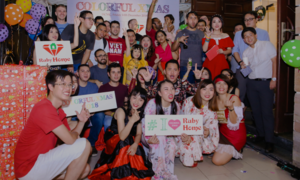 On top of the roof of the Sofitel Metropole Hotel on Ngo Quyen Street, a brightly lit Christmas tree and reindeers contribute to the Christmas cheer. 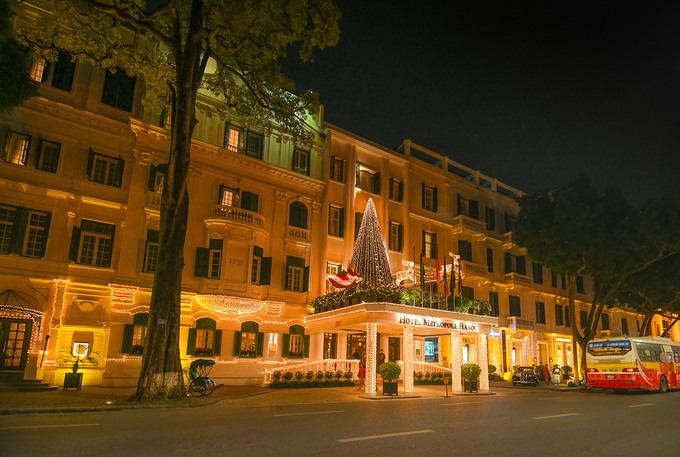 Built in 1901, this was the first 5-star hotel in Hanoi, and is a French colonial landmark in the capital city. 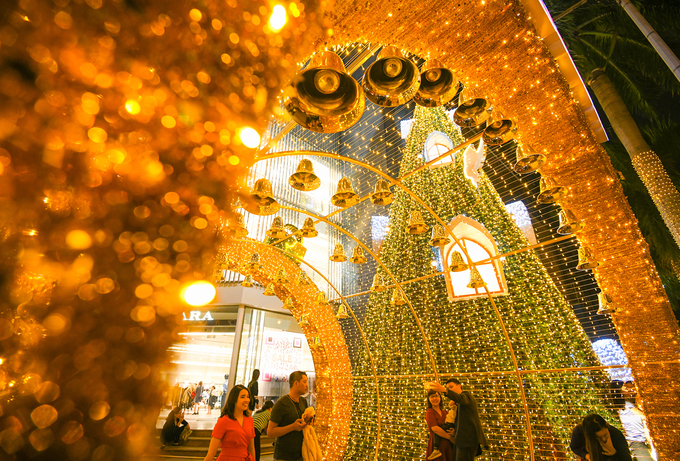 Vincom shopping mall on Ba Trieu Street has been attracting a large number of visitors with a dome of lights and other decorations. 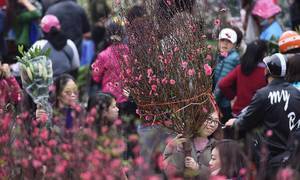 On Hang Ma Street in the Old Quarter, dedicated throughout the year to selling decorations for all festivals, Christmas toys and ornaments are an attraction by themselves. 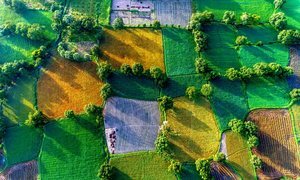 At this time, people call this street a "Christmas market," since all the ornaments for the festival can be found here. 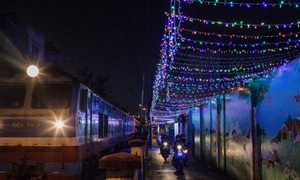 At the junction of Pham Ngoc Thach and Chua Boc streets, Xmas installations have generated a Xmas festive feel. 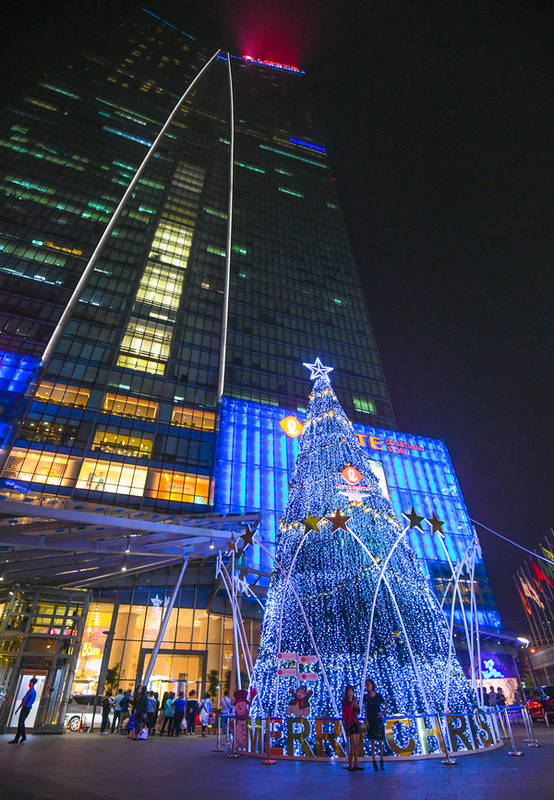 "There is a shopping center and an office building here, both of them are glowing with Christmas decorations. 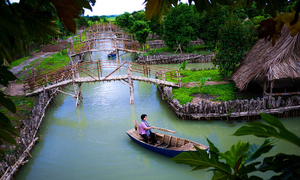 It’s so pretty that I asked my friends to come here and take some pictures," said Ngoc Linh, a university student in Hanoi. 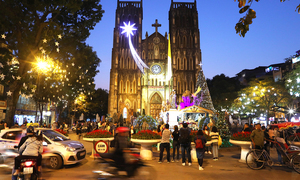 An 8 meter tall Christmas tree in the front of Lotte Center Hanoi on Dao Tan Street has become an instant attraction. 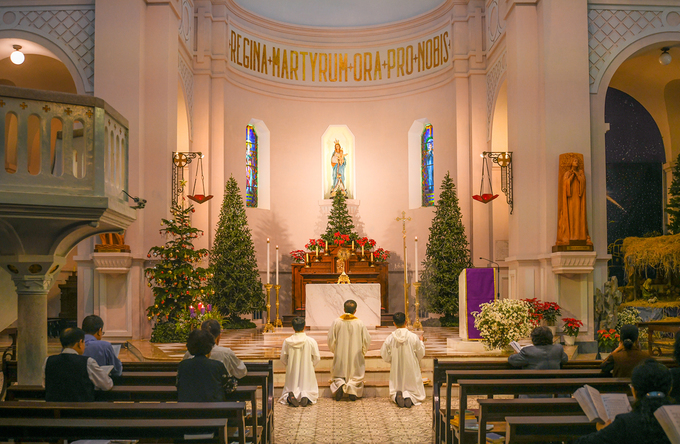 Inside the Cua Bac cathedral, devout Christians join a prayer. 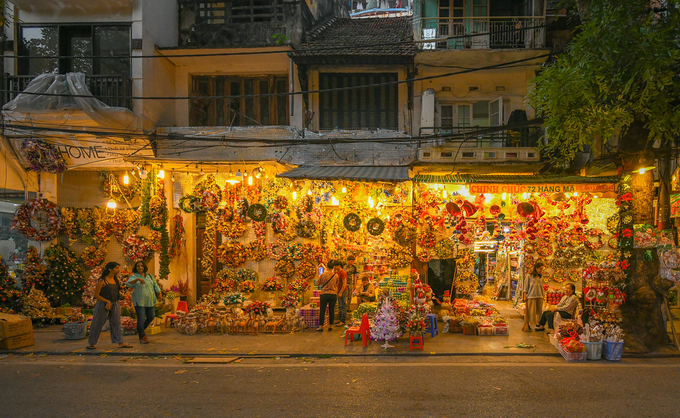 Ivana, a Swedish tourist, found Hanoi's Christmas unique and memorable. 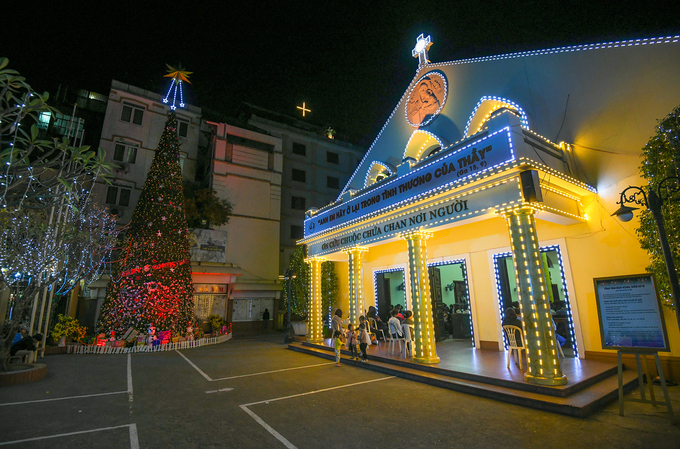 In front of the Thai Ha church on Nguyen Luong Bang Street in Dong Da District a giant Christmas tree dominates the front yard as a mass is held.